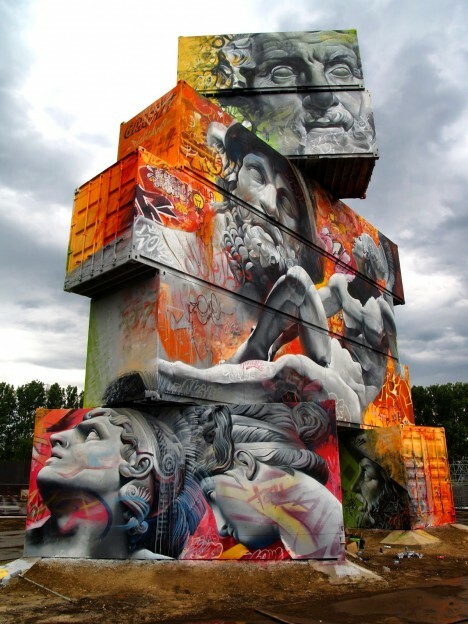 Towers constructed from shipping container modules formed the blank basis behind this series of incredible giant-sized, site-specific artworks using spray paint and pole brushes. 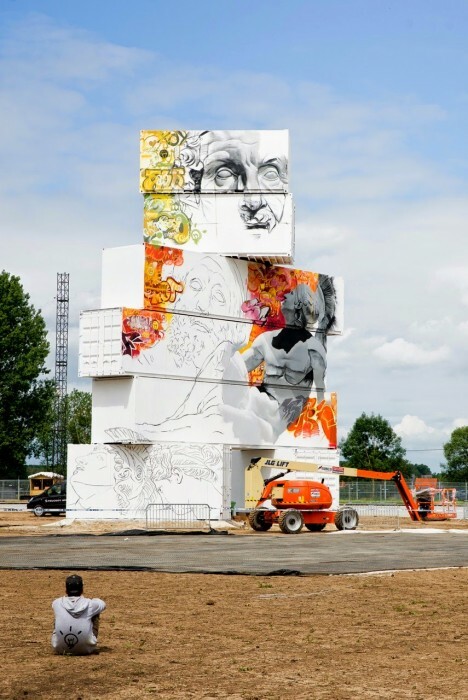 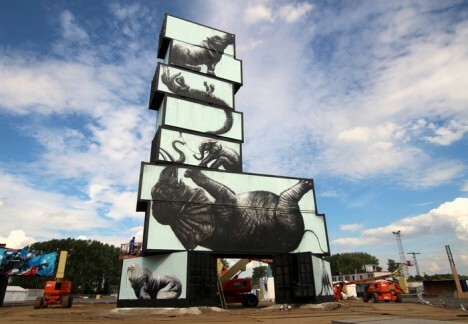 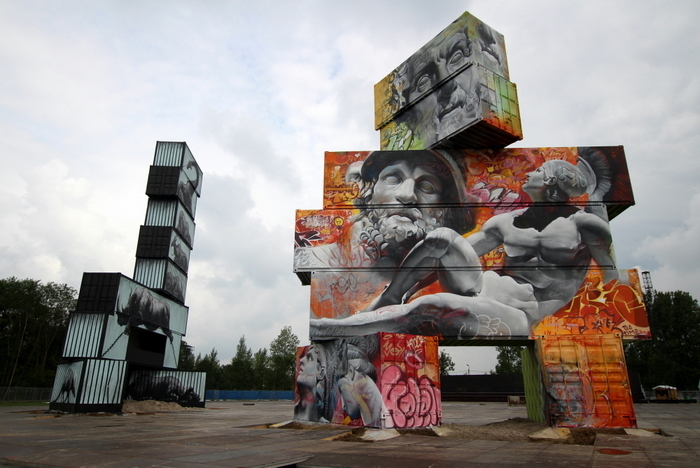 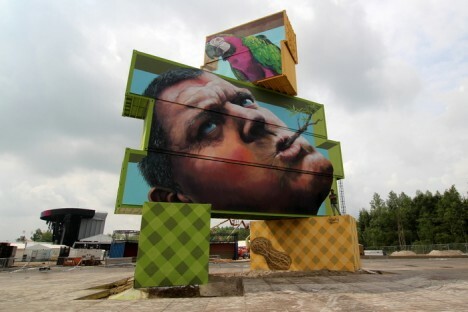 For the North West Walls Street Art Festival in Belgium, curated by Arne Quinze, each contributor was encouraged to compose something on one side of each of three unique and random-seeming stacks. 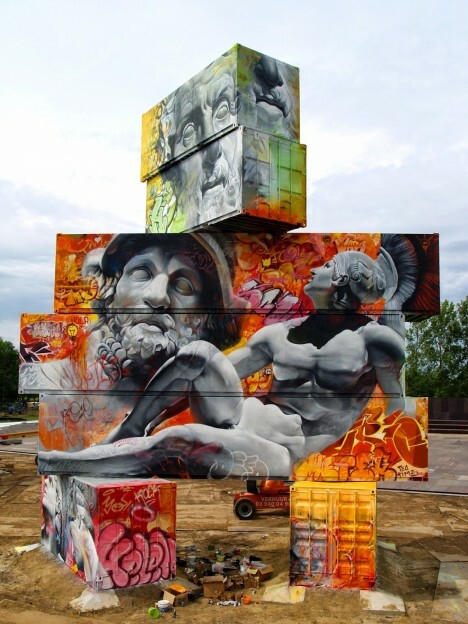 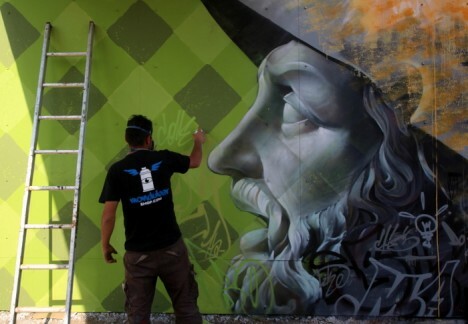 Famous graffiti artists Pichi & Avo added an array of Greek gods to their chosen canvas, framing the brilliantly-rendered figures in contemporary style, using warm-colored graffiti to create a stark contrast around them. 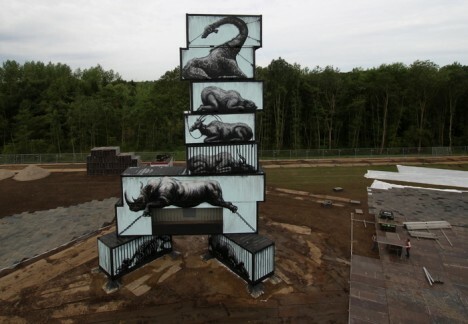 A play on the artist’s name and implicit commentary on creatures in captive zoo conditions, Roa’s Ark features a series of caged and chained animals each contained in one of the cargo units, the effectively black-and-white composition intentionally devoid of bright colors. 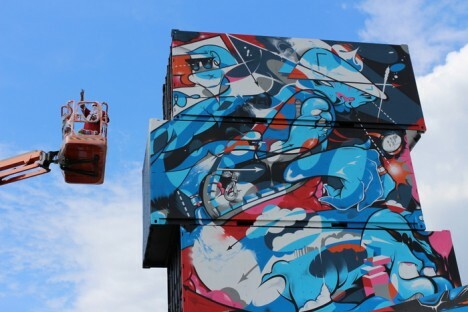 Other contributors included Jen Zie and Martin Ron, adding further colorful and abstract creations to the mix. 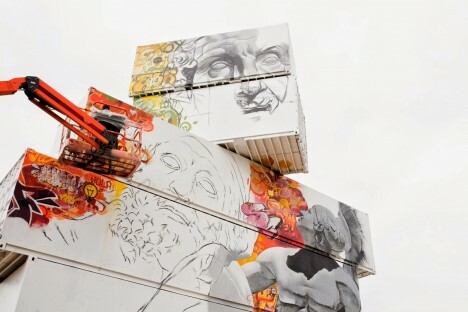 Together, the finished works represent a wonderful array of approaches, some playing on history, references and culture and others on visual effects, depth and perception. 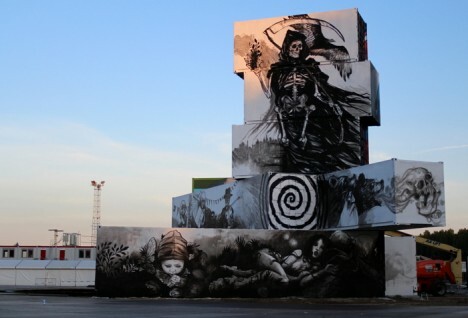 Gray Ghost: Banksy’s Arch-Nemesis or Anti-Street Artist?